If you are not one of the unlucky ones to have experienced a problem with your Xbox One, then you might when it comes to using its voice command feature because we know how hard it can be learning them all. Trying to understand these Kinect commands will take a bit of homework, although it doesn’t have to be as hard as that. This is not a huge problem for most of you because you have such a good memory, but what about those who often forget what exact voice command to say to Kinect? Thankfully, help is at hand with the image that you see above, which is thanks to a Reddit user. 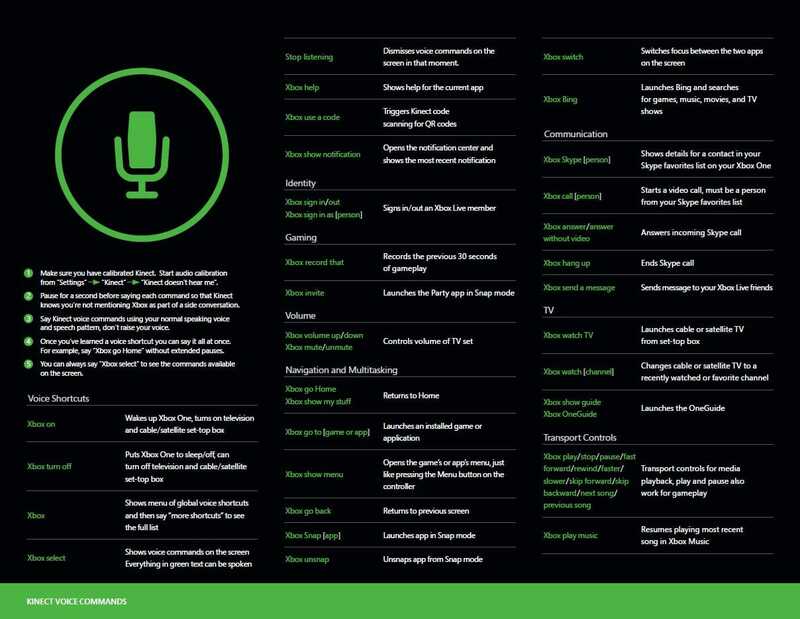 This is a full Xbox One voice command list for the Kinect, which will address the problems you have if you are a little forgetful or get brain fade sometimes. Just click on the image above to make it larger to read, where you can then print it or even keep coming back to Product Reviews to keep up-to-date with all the latest gaming news. We do wonder how often this feature will be used because we have already seen the novelty wear off the Xbox 360 and Siri, as we cannot remember the last time we used those voice command features on either devcie. Do you often forget these Kinect voice commands, and do you think it is a feature you will keep using? I’m guessing the same thing as your mum when you were conceived! It works flawlessly on my X1 with no problems and is a really good, if lazy, way to control your X1 ……here comes Sony with a day one patch copy (attempt) 🙂 Flame on! What was Microsoft smoking, while making this abomination?